Feeling your babies move for the first time is a mysterious experience. I remember thinking that I had perhaps been feeling something, but that it also might have been just gas. But I was pretty sure that I didn’t have THAT much gas! Yet, I couldn’t easily tell the difference. I remember the first time I was CERTAIN that I felt one of my babies move. I was at home relaxing and working on some projects on my couch. I felt a flutter which seemed to be up in my ribs way further than baby should ever be! At first I thought maybe was it just some intestinal juices… A minute later, I felt it again in the same place and knew it much have been baby! That was in my 15th week of pregnancy. By my 17th week, I could feel them moving just about every day. For a singleton pregnancy, the first movement is usually felt between 20 and 24 weeks, but it seems that twins can be felt sooner. Some think the reason behind this is mysterious or non-existent, but to me it seems quite straight forward, because around 18 weeks for a twin mom, the babies are taking up about as much space in your abdomen as a singleton would at 20-24 weeks. So their limbs are going to be as ‘crowded’ and up close to your insides as an older singleton. One cold November morning in my 22nd week, I woke up to a serious bounce on my belly! I looked down and saw a little ‘thump…thump… thump’, knocking on my belly above my belly button. She must have had the hiccups! In meetings when I was bored, I could sit and ‘snuggle’ with my babies, feeling them bump around bringing a feeling of such joy and comfort! I have heard it said that moms often can feel their babies move much earlier (about 4 weeks earlier) in their 2nd and subsequent pregnancies. This proved true for me that it was again mid-September when I first felt my second twins move – but I was only 13 weeks along in my pregnancy! So it took me by surprise. But it was difficult to deny or write off as gas because it felt so different this time. Surprisingly, it wasn’t the ‘flutter’ of the first time, but more of a direct poke at my bellybutton! And it happened for the first time when I leaned against the sink washing dishes. As if to say ‘hey mom, quit bumping me!’. It happened a few times that day! I thought it so strange that the first movement would be so strong – but maybe I was too busy to miss the first fluttery ones, or maybe I’d been eating too many Taco Bell bean burritos. It was also easy to tell the difference between "Baby A" and "Baby B." For me, Baby A would always stretch his leg out, his foot pressing down on my vajayjay. Ouch! Baby B, on the other hand, was right under my rib cage and would always get the hiccups. We're talking nearly every day! During my first pregnancy, I had a terrible time trying to tell which was which. I think it was the position. A was head down and B was vertex above her and always a different direction. So I never knew if it was A's feet or B's. The second time, it was a lot easier because A was always on my left and B on the right. Then again, I am assuming that I knew - of course there's never a way to be sure! 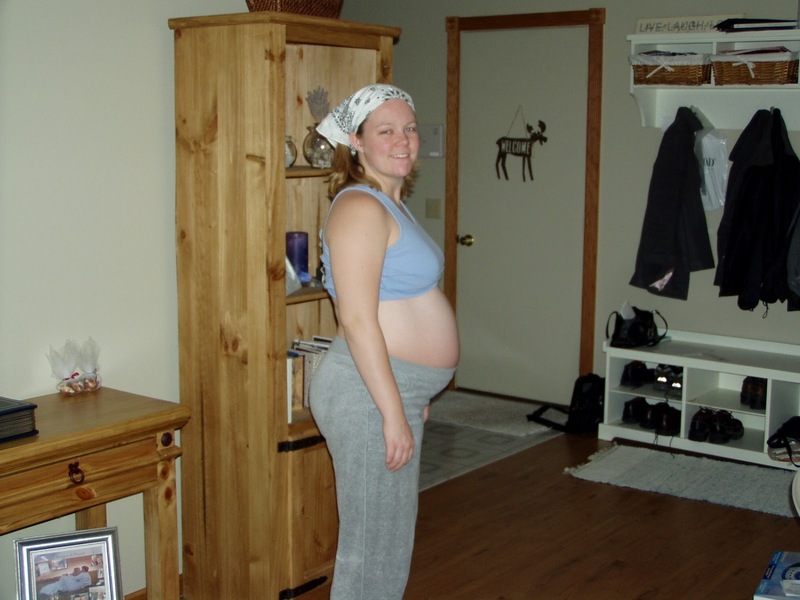 Middle Pregnancy: Oh My Aching Back!